GA PERRY, on-time or the first hour labour is FREE. perth electricians, perth plumbers, perth hot water. All Perth suburbs. 24/7 Plumbers, Electricians across Perth. GA PERRY On-time or the first hours labour is free. Proudly providing Perth quality Electrical, Plumbing, Hot Water services for well over a century. Established in 1896. 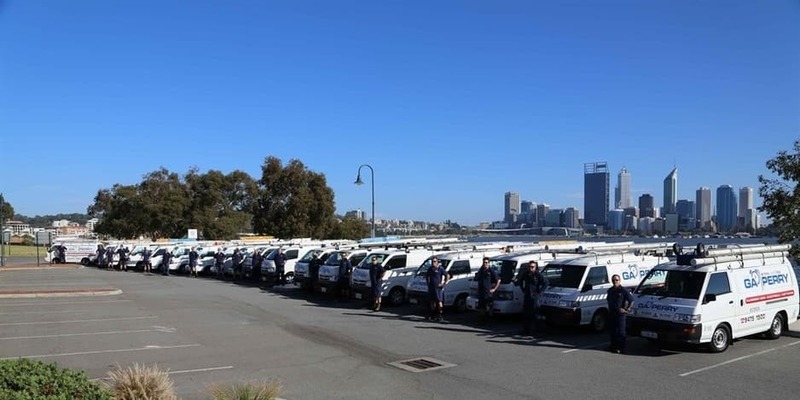 By offering competitive, affordable plumbing and electrical services to everyone across Perth we welcome you to experience the GA PERRY difference. Call us NOW, then judge for yourself why our customers continue to sing our praises. We genuinely appreciate your business and aim to maintain and establish long term relationships. I have used both their plumbing and electrical services this last month. After trying to use other trades (and wasting so much time waiting for them to quote, and then turn up) I called GA Perry. Their service was spot on. They came on time, completed the work cleanly and quickly. I expected a high bill and received two superbly priced invoices. On time, clean, efficient, professional, and reasonably priced. I won't bother calling another plumber or electrician again. Told costs for work over phone, after job was complete was shocked at price which was 3x what I was expecting based on figures given to me from phone call. It was a simple install, replacing old electric hot water cylinder with heat pump water heater (which uses same connections as old system). I am so upset and disappointed in this company and their deceptive communication. Plumber came to replace my surface mounted lavatory basin...arrived "on the dot" but applied silicone to only 3 sides, and did not seal off the back of the basin. Incomplete job, high priced...I will not use them again. Asked for a quote, worked out a time and an employee turned up at my home. They explained they didn't normally do quotes but took the same info down that I had supplied on the quote form I filled out on their website. A week later I'm still waiting for that quote and I suspect it won't be arriving. On the other hand contacted another company, they gave a quote over the phone and booked me in a time for the work straight away. I need some plumbing work done too, and won't be wasting my time with GA Perry.